That is beautiful and I can't believe you did it yourself! I'm amazed at your vision, truly! "A friend who is a contractor" = a good friend to have. You did such a wonderful job. 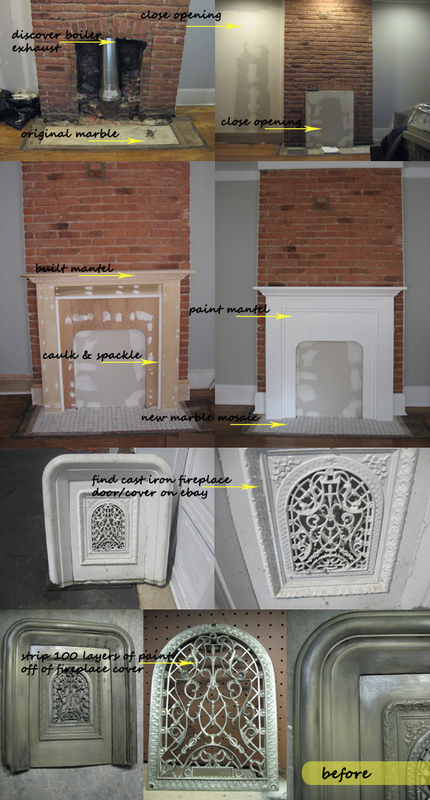 Oh I love it and not only the cast iron cover but the mantel and the black and white and the tile all together. You really have an eye for making things look exceptionally beautiful. Klasse! ich kann nicht glauben....selbst gemacht! toll! Wow! What a great result! I dream of having a fireplace, they are just so cosy! Nina, I am seriously impressed by your vision and skills! I spend hours looking on Ebay for quirky and fun things to restore and I just end up with junk. I really like the intricate detailing on the insert and I can’t believe you managed to achieve such a beautifully polished look! Thank you and Danke girls! Oh, yes having a friend that is a contractor is reallly good. And he does a great job too! Your fireplace is AMAZING! 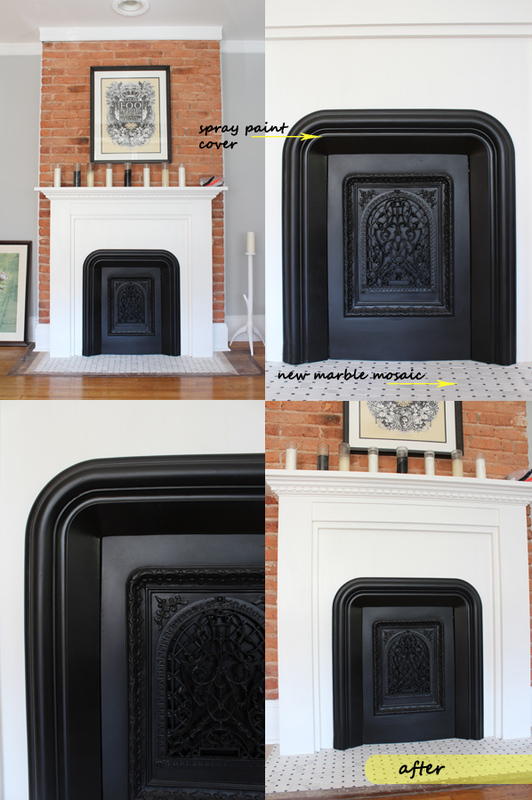 Such a great solution for a non-functioning fireplace. Love the cover. Wow that is some work! It is so beautiful though. I'm not just saying this, but I think that's the best fireplace I've EVER seen! It's simple but with a little touch of ornate.